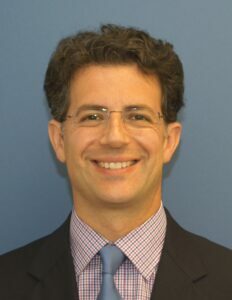 Dr. Neal Goldberg is a board-certified plastic surgeon with 15 years experience in cosmetic and plastic surgery. Dr. Goldberg offers the most current and state-of-the-art procedures. He is an active member of the American Society of Plastic Surgeons, the New York Regional Society of Plastic Surgeons, a Fellow of the American College of Surgeons, and he regularly attends conferences on aesthetic and reconstructive surgery to stay current with the medical and technological advances in his field. Dr. Goldberg takes pride in providing the safest and most effective care to help achieve natural-looking and beautiful results for his patients. For more information about Dr. Goldberg and his practice or to schedule a consultation, please contact us today. Dr. Goldberg’s cosmetic and plastic surgery practice serves patients living in the New York Metro tri-state area, including Westchester, Rockland, Bronx, Manhattan, Fairfield, Putnam, Orange, and Bergen counties. Many procedures and treatments can be performed in Dr. Goldberg’s offices in Scarsdale and Dobbs Ferry, NY. Dr. Goldberg has a fully state certified private operating facility in Scarsdale, where procedures can be performed far more discreetly and economically than in a hospital or ambulatory surgical center. The facility uses only board-certified anesthesiologists and registered nurses. Dr. Goldberg also operates at several Westchester hospitals including White Plains Hospital, Northern Westchester Hospital, and St. Johns Riverside Hospitals in Dobbs Ferry and Yonkers. I take a huge amount of pride in what I do. I really care about my patients and their satisfaction. Dr. Goldberg’s credentials are considered by many to be outstanding. He is a graduate of the NYU School of Medicine and has trained in all aspects of plastic, reconstructive, cosmetic, and hand surgery at Montefiore Medical Center at the Albert Einstein College of Medicine. He is also a graduate of the University of Pennsylvania’s Wharton School. The Consumer Research Council has recognized Dr. Goldberg as one of “Americas Top Physicians” for the past six years. He has also received the “Patient’s Choice Award” for consistently achieving top online reviews for the past seven years. Part of maintaining a high level of patient satisfaction is having the right team. Dr. Goldberg’s staff also receives exceptional reviews from patients, and all are highly trained and skilled. We strive to properly address your questions as soon as possible when you call the office. Whether you are meeting with Dr. Goldberg for a consult or a procedure, he will spend as much time as necessary to help ensure that you fully understand the options and the recommendations before you proceed. Many of the most common questions and their answers can be found in our Frequently Asked Questions section. For a more personal perspective, there’s nothing more telling than his patients’ reviews, which you can see in our plastic surgery Before and After Gallery. Dr. Goldberg also explains some of his more popular procedures in a series of videos, and he also maintains an informative plastic surgery blog. If you have additional questions about our surgery center, or if you would like to schedule a consultation with Dr. Goldberg, please contact our office today.